Hello! 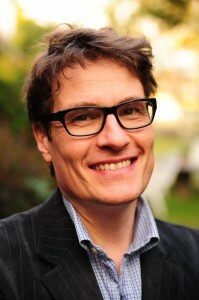 I’m your workshop leader Olle Bergman, and here are some notes which will help you get the most out of our day together. Please note that this is more of an intellectual than a practical preparation – I will start my lecture from page 1 of the story, and there will be time to develop the pitches and LI pages further during the workshop. However, I strongly recommend you to take some time to go through the material and write a first draft; I can assure you that the result will be very useful for you! In our context, the elevator pitch should be a brief summary of your research or work and its value, presented in a way that is not only short and precise but also interesting! 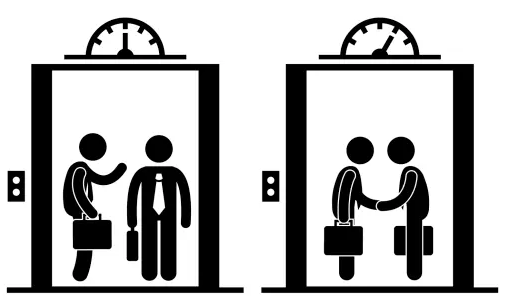 No matter if you’re an early career scientist, a young entrepreneur or a junior policymaker: an effective elevator pitch can make things happen faster in your professional life. We will explore this process together. But we will also talk about communication in general and some of my favourite topics, e.g. PowerPoint design and rhetoric. To prepare a personal elevator pitch, you can proceed in many different ways. Feel free to find your own style and format, as long as it’s not longer than 60 seconds. I invite you to be bold and original—you’re in a safe environment, and now is the time to experiment and try out stuff. Jot down replies to the following questions. Be spontaneous and don’t think too much about the end result. What do you do as a scientist? What problem(s) do you solve? How is your research different? Now, try out your elevator pitch by reading it out loud. Does it sound OK? Use your stopwatch and time it. “Do you know that 32 million Americans are taking statins for their high cholesterol? While statins have been shown to improve the heart function by reducing blood cholesterol levels, one of the major side effects associated with long-term use of statin is the development of muscle pain. “Using advanced cheminformatics and computational drug design methods, I try to find compounds that can help us understand the function of a group of proteins called orphan G protein-coupled receptors (oGPCRs). If you walk into any pharmacy, there is always around 30% chance you will order a drug targeting one of the already known GPCRs. However, we know little about the orphan GPCRs except for the fact that they are present in our body in e.g. the brain, the liver, and the heart, but not much knowledge about what endogenously potentiates their action! The compulsory part of the preparations here is simple: just make sure you have registered a LinkedIn account. Step 1. Get a professionally looking photo. depth of field is, and who uses a portrait lens costing at least € 300. No funny FB photos or blurry snapshots, please. Step 2. Write a headline. characters. Of course, your elevator pitch will be a great starting point here! others want to appear as very goal-oriented. 5. Start asking trusted friends and colleagues to write Recommendations. Jot down a question that has to do with science, communication and career and send them to me at olle@bergman.com. I will try to address as many questions as I can during the workshop! Looking forward to seeing you in Copenhagen soon!